In today’s complex, fast-paced, competitive environment, executives must be adept at moving quickly to build new leadership capabilities. 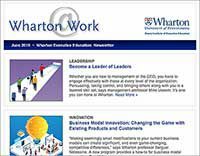 Wharton's Executive Development Program (EDP) prepares fast-track leaders to move from mastery of one focused area to success in a broader role, priming them for greater leadership responsibility in large companies and organizations. During two intense, transformative weeks, participants will expand their business acumen in key areas while benefiting from the expertise of global participants from a wide variety of industries, functional areas, cultures, and geographical regions. 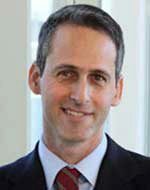 Professor Peter Fader says the Executive Development Program will challenge your notions about how a leader should act. A team of faculty, and experts, from diverse business disciplines, provides in-depth knowledge in core business areas including finance, strategy, leadership, marketing, negotiations, organizational dynamics, and globalization. Class sessions capture the years of experience in the room. Teamwork provides opportunities for exploring the relationship between individual behavior and team dynamics. Social dynamics promote a spirited camaraderie that leads to deep and lasting connections. Academic Director Patti Williams talks about the EDP simulation in this excerpt from an interview on Wharton Business Radio, SiriusXM. 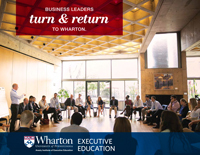 A distinguishing highlight of Wharton’s EDP is the inclusion of executive coaching within the learning experience. Recognizing its importance in supporting individual learning and development, EDP offers intensive in-depth coaching focused on behavioral improvement grounded in feedback. It includes three individual sessions—two held during the program and one held after its conclusion—as well as two in-program group sessions. Your executive coach will draw upon two resources to help you achieve your goals: a 360-degree leadership assessment that you complete before your arrival in the program, and observations of you and your team during an intense business simulation. The 360˚ tool gathers vertical and horizontal feedback on leadership competencies such as influence, emotional intelligence, and teamwork. During the simulation, your coach will observe your ability to lead, collaborate, negotiate, and participate as an effective team member. Armed with these insights, individual coaching sessions will focus on your development as a leader, using the simulation and the 360° to identify and strengthen specific skills. The structure of the EDP, and the coaching provided, will allow you to make connections between your behaviors and your effectiveness very quickly, and gain powerful new insights into your leadership opportunities. The post-program coaching session is focused on implementing key learnings within your organization to create value and lasting impact from the EDP experience. Wharton's Executive Development Program is designed for successful functional, country, or unit managers preparing to take on broader responsibilities that require leading outside their areas of education and experience. 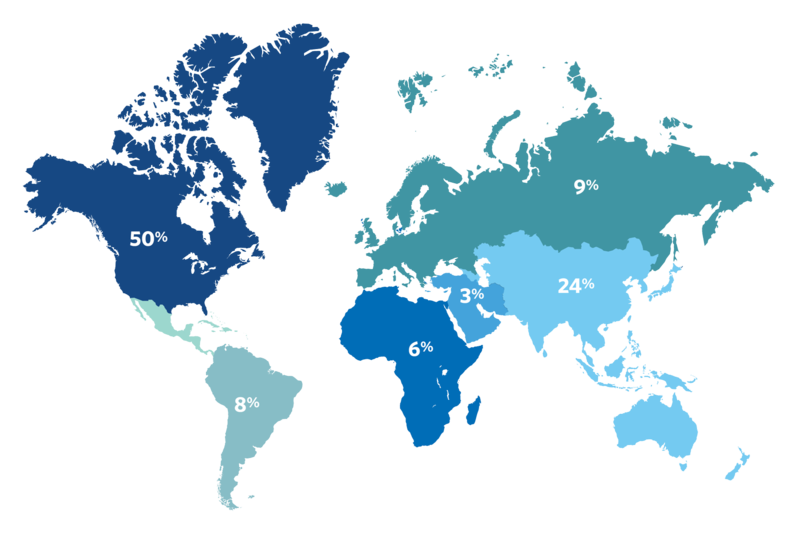 Participants represent many cultures and regions, and more than half are typically from outside the United States. 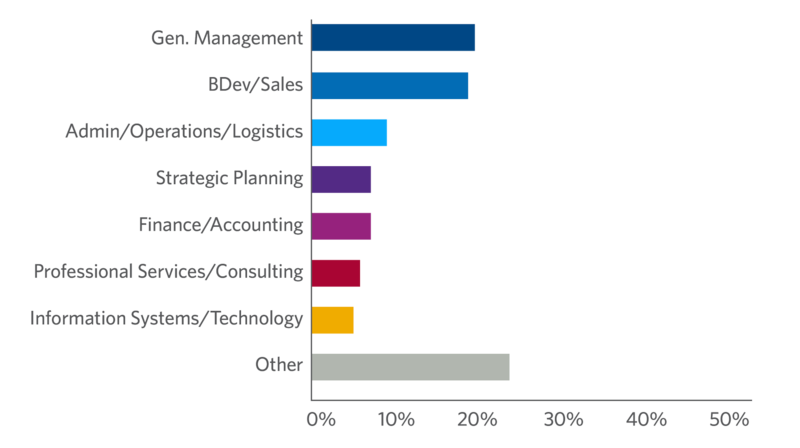 They include leaders from across all disciplines, including marketing and sales, research and development, accounting and finance, supply chain and logistics, manufacturing and engineering, human resources, and information technology. Likewise, they come from a variety of industry vertical groups, such as pharmaceuticals and health care, financial services, manufacturing, aerospace and defense, and high technology. To further leverage the value and impact of this program, we encourage companies to send cross-functional teams of executives to Wharton. We offer group enrollment benefits to companies sending four or more participants. My experience with Wharton’s Executive Development Program was by far one of the best professional decisions I’ve made in a very long time. Between the world-class professors, the lectures, the business simulation, and executive coaching, I couldn’t have asked for a better experience. The content was really current — you learn things you can apply and start benefiting from very quickly. It was a very beneficial experience that I was able to start applying very quickly when I got back to work. I’ve worked in the family company for the last 20 years. I graduated as a mechanical engineer and chose Wharton to build up my management skills as I prepare to be named CEO. My father is the founder and he will step down by the end of this year. My biggest challenge as a second-generation family business leader is how to continue my father’s legacy and, since Brazil is in a recession, ensure that our business is prepared for when the market picks up. Wharton’s program was great and well worth the investment. For me, the biggest learning experience was the simulation, which focused on how to market a new medical injection device. We had to all take the time to listen and not talk over each other. Working as a group and bringing the best of each other’s backgrounds to the same point in the discussion was critical. Out of all the technical things we talked about, the biggest learning for me was how to you to create a high-performance team. My family’s core business is the rental of tanks or containers for transport of dangerous goods or other chemicals or liquids. We have three companies — one in the chemical area, one serving offshore oil rigs and a third that rents modular disassembled canvass-covered warehouses. Since I oversee three managers for each of our companies, understanding how to bring out the best in a high-performance team was something I can use right away. I came to realize that if we don’t have the right person doing the job, the person with the most knowledge for that particular assignment, we are not going to get where we need to go. Focusing on high-performance teams will make a great difference." The learning we experienced during the two intense weeks of EDP was immense. The program was well defined, covering all major facets of management in an industry context, and supported with case studies. One especially outstanding facet of the program was the opportunity to form a 'virtual company' and to play the role of an expert from a specific discipline, contributing the appropriate strategy to the company’s success. Thanks for the superb hospitality and for memories that I will cherish for years to come." The Executive Development Program (EDP) was the only program I looked at that addresses soft skills along with the hard ones, and it was the soft skills that I knew would help me perform better. To be a leader, you need to engage with employees, build a strong team, do cross-border business, report to a board, and communicate your vision and strategy to your team. You can read theories about how to do that in a book, but to really learn you need to practice. Wharton’s EDP is the only program that teaches you how, and then gives you the time and space to practice. It was by far the best executive education program I have done." The program was a great experience! As a senior executive, I don’t usually get the time to reflect on my role or receive the kind of feedback that I got from my peers in this program. I greatly appreciated having real-world professors and speakers — people like us who are living in the business world, not just basing their insights on theoretical or book knowledge." The Wharton EDP experience exceeded my expectations. The instructors, team simulation, programming, and facilities were all world-class and at the leading edge of business education. Importantly, the truly international and cross-industry make-up of the class enriched the diversity of thinking, requiring a global approach to problem solving. I was able to implement the new learning on day one when I returned to my job." Tuition for this program includes accommodations and meals. Prices are subject to change. Still considering your options? View programs within Comprehensive Executive Programs, Strategy & Innovation, Leadership Programs or use our Program Finder.